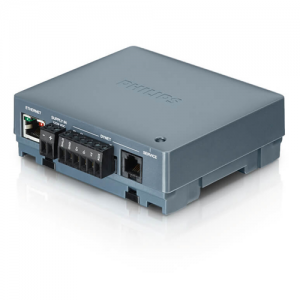 The Philips Dynalite PDEG provides a multipurpose Ethernet connection to a Philips lighting control system. It supports access to the lighting system via a dedicated Philips app as well as providing a web interface delivering access to the inbuilt timeclock and schedule editor functions. 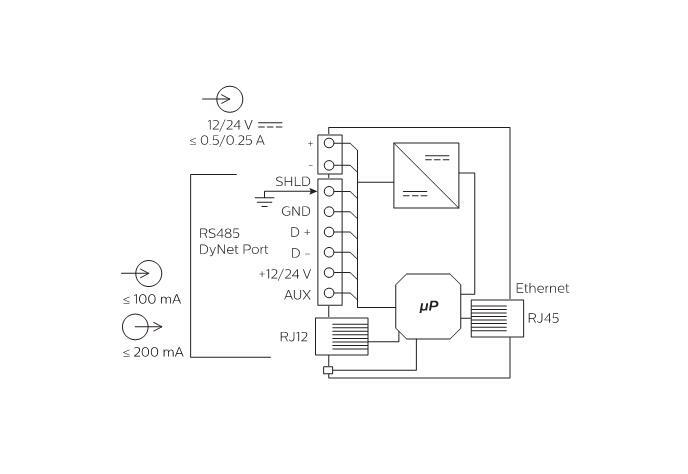 It provides bridging functionality between Ethernet backbone and the DyNet fieldbus devices. Large storage capacity – The device stores large project files internally, which apps use to automatically configure their settings. This saves configuration time and ensures accuracy for phone and tablet control. Built-in web server – Allows the user to edit and check system settings via the Network Hardware Checker and System Roll Call tools. No technical skills needed – Inbuilt timeclock and schedule manager allow the user to manage operation and task scheduling without advanced technical knowledge. Powerful custom task engine – Allows users or third-party systems to run macros, such as ‘After Hours’, ‘Shut Down’, ‘Welcome’ and more. 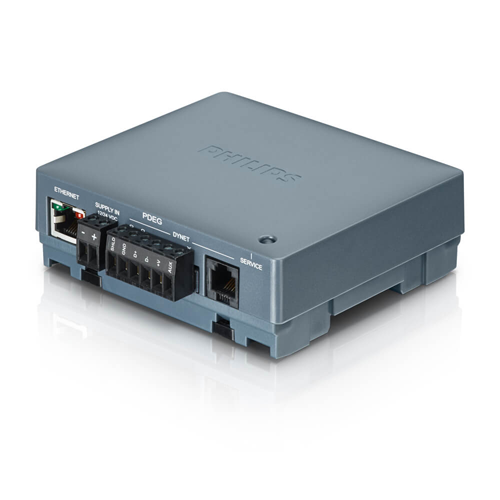 Advanced interoperability – Supports management of Philips Dynalite and Philips PoE fittings on a single system.